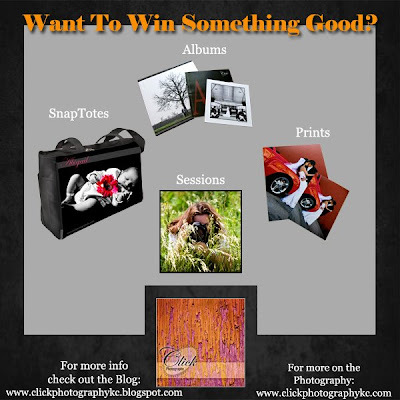 Click Photography: Summer Prize Games...You know you want to WIN! A couple weeks ago, as I was filling up my car at a gas station...I spaced out as I watched the price roll upwards, exceeding any maximum I'd ever hit. "OUCH! "...I thought. As a practical and responsible person, I began thinking of ways to cut back on my budget to compensate for the rising cost of car travel. Things like going out to eat and going to the movies were obvious, but there are more things considered to be luxury to cut back on as well. Many who know me well, know that I became a diligent photographer when my son was born and I started to realize I couldn't remember all the precious moments I was experiencing. Being very visual, I would see flashes of an image in my head but couldn't quite pull the whole memory out. The mind is a strange place. My pictures would help to develop the memory and trigger other senses...like what smelled good on the BBQ or what the blanket felt like. It was a comfort to have the photography to piece together the memories. Therefore, for me, photography is not a luxury. It is a key to unlock my memories of my life and the people I hold dear. The pictures I hang on my walls are as much for me to look at as any one else who enters. There is a large framed picture of my little family right next to the front door...as if to say, "hey...slow down, take a look at this...remember to enjoy the ride." So...blah blah blah...I know...sorry. I just wanted to do something fun this summer and offer my clients a chance to win something that might mean a little more than free concert tickets or a tank of gas. Each week I will post the question or contest to my blog at a random day/time (so be on the lookout). The prize will be listed but may change from week to week. Some weeks there will be only one winner, other weeks there might be a chance for multiple winners. Each entry throughout the whole summer will be entered into a GRAND FINALE prize. Each household is limited to 2 wins per 4 weeks. The game is intended for new or existing clients (close friends and family...you already have a sweet deal ;). Prizes will be issued upon availability and will expire 180 days after win. Please keep things respectful as this is meant to be fun. If you have any questions, contact me at christinemay@sbcglobal.net .